There don't seem to be any leaks in piping. I've looked into the tubes thoroughly. It does idle at 1000 rpm perfect when cold started. Only when it's hot does it go to 1500.
makes me wonder about that temp sensor again, then. maybe the ECU doesn't KNOW its warmed up and is still trying to run it rich and cold. Hmm. Temp sensor. I was leaning towards o2 sensor, but the temp sensor is a very possible culprit. It would be ignored too when the AMM is unplugged right? its easy to test. pull the passenger footwell liner, and the panel on the right side by the door, unplug the ECU, measure it with an ohm meter, pin 13 is the ECT and pin 5 is ground. I pasted the temp-resistance table elsewhere. from what all I've heard, 80% of the problems with ECT's are wiring related. Hey! What about the Reference RPM Sensor? Would this be ignored when the AMM is unplugged? After some research it appears that they can cause hot start problems when they go bad. Well, after even more research, if the RPM sensor is bad, it usually causes no start when hot problems. More research then! ok, I had to look back, this is a 1992, so its LH2.4, so it DOES have the crank position sensor (the rpm reference). LH2.2 cars had a hall sensor in the distributor, instead. flakey wiring on the CPS certainly can do a variety of weird things. It's been a while since posting! The idling issues since then have gotten more ridiculous. However, this evening, finally, a useful error code on pin 6, 2-1-4 pointing towards the Crank Position Sensor. I want to replace it. Are there any decent write ups on how to replace it? locate it, its behind the head, bolted onto the top of the bell housing. on a 740/940 the distributor is in the way. clean the area up with degreaser, follow the wire to the harness connector and unplug it. remove the single screw that holds it in place, pull it out, replace it, bolt it in, and plug it in, done. the CPS itself almost never fails, usually the problem is crumbling wires. Yeah, really nothing to the procedure to replace it. You might want to practice up on your cussing as getting that bolt back in on a 240 is a real pain unless you have real dainty hands. I just wanted to give you all an update. After replacing the CPS, the throttle position sensor, (this actually gave the car a little more pep), and the voltage regulator, (which was super worn down), the hot start idling issue still persisted. I ended up selling my beloved 240. There was no way I could keep throwing money at it to maintain and troubleshoot it while going to college. I've decided to stick to Mercedes, more or less. The entire time I've owned the Volvo (about 4 years), I've also had a 1985 Mercedes 300d as a secondary daily driver. It's 30 years old and has never given any issues. I figured I may as well buy another Mercedes, preferably something all wheel drive since the winters in the Midwest get pretty nasty. So in February I purchased a 1999 e320 4-matic. It's treated me well so far as well. I'm also hoping to add to my family of cars a mid 2000's Ml eventually. I do wish to thank you all for the help you have provided. Without this forum I would have been at a loss on how to handle some of the Volvo's quirks and on how to troubleshoot it. I have learned valuable troubleshooting skills from this forum. Perhaps in the future I'll buy an older Volvo and be a regular member again. 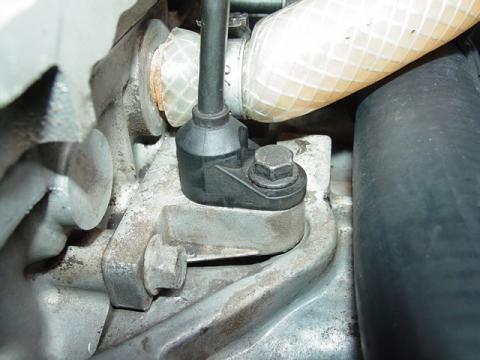 the throttle position sensor on a B230 is simply a idle and full throttle switch, and the full throttle switch is only used on some configurations. mostly the idle switch is used to enable the electronic idle regulator, whihc uses the IAC to maintain a 600 rpm idle when warm, or 1000 rpm when cold. do a lot of research on mid 2000 Mercedes before buying, they had a LOT of problems. me, I like the W124 series of late 80s, early 90s benzes, but they have a few issues too (wiring harnesses, transmissions). I understand where you come from when you say to do research! I did so much research on the w210's before I bought one. I basically wanted to know the ins and outs and some of the trouble areas before I bought it. After plenty of research, I learned it's always best to avoid the first two or three years of a new generation anything. The 96-98 w210's had problems. By 99 these were mostly corrected. In the 2000's the w210 was pretty solid. Same with Ml's. The first few years of those apparently ate transmissions. So this is why I'm interested in 2003 or newer. Don't get me started on first generation air-matic problems. Ha.